Republican negotiators are caving. 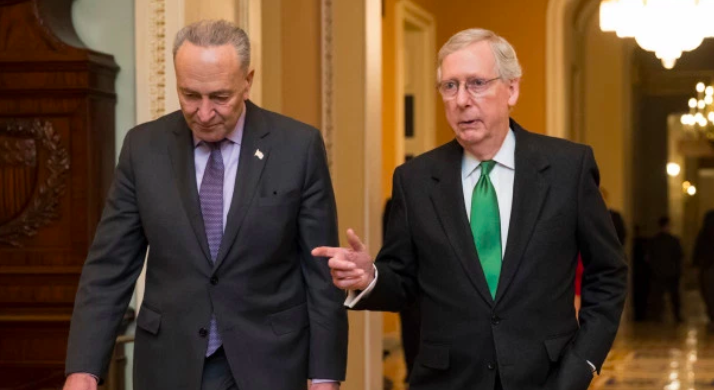 Not only are they cutting funding for the border wall, but they are working with Democrats on amendments that would kill the project all together. One amendment prohibits the new border wall designs from being used. Others would outlaw border barriers in remote areas and prohibit the military from helping with the construction. You CANNOT let the GOP cut the funding or sneak these amendments into the bill! Please, send your instant and urgent message to Congress right now and FORCE them to approve a clean $5.7 billion border wall spending package, or else! President Trump has demanded $5.7 billion in border wall and border security funding, or else he will veto the bills you send him and shutdown the government once again. He didn't invent this number. This is the amount that the Border Patrol experts say they need to secure the border. The government cannot be funded without the President's signature on this spending package. His veto promise should be enough for you and your colleagues to approve the funding. It is amazing that former President Obama was able to give billions of dollars away to the United Nations and even terror regimes like Iran without Congressional approval, but the minute Trump says he wants to complete the border wall, you and your colleagues mobilize to stop him. With the conference preparing to release its "compromise" border funding bill, I need you to understand something. If you allow the establishment to cut down the border wall funding, I will remove you from office. If you allow these negotiators to sneak in poison pill amendments to block the construction from moving forward, I will remove you from office. Another amendment would block the border wall from being built anywhere "rough terrain, natural barriers, and the remoteness of a location render a wall or other structure impractical and ineffective." In other words, there would always be an end to the border wall, allowing illegal aliens to just walk around it to get into the country. Yet another proposed amendment would prohibit any military funding from going to the wall, which would block President Trump from using the Army Corps of Engineers to finish the project. This is absolutely shameful. These amendments are all being pushed by Republicans. Amazingly, they think that We the People won't notice being stabbed in the back like this. They are wrong. You need to pass a clean border wall bill approving the full $5.7 billion for the project and you need to do it NOW. You will not get away with cutting the funding or sneaking these amendments into the bill without anyone noticing. President Trump has already explained what it will take to get him to sign off on the next round of spending bills. If you will not comply and fund the border wall, then you will be removed from office... one way or another!